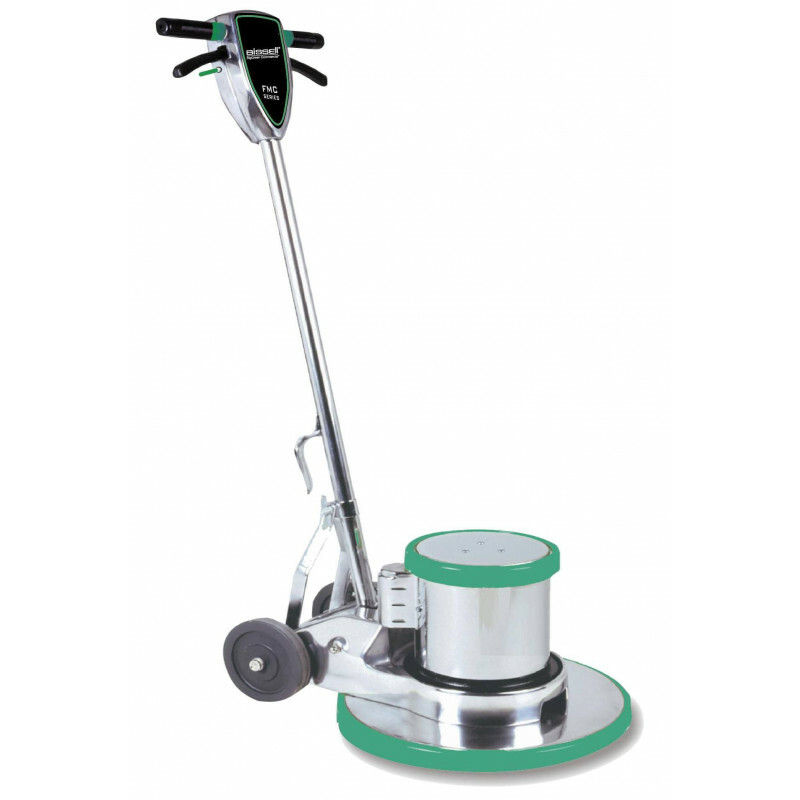 This versatile 15 inch Bissell floor machine is quiet enough to be used in hospitals, and powerful enough to be used for spray buffing, scrubbing, stripping, shampooing, and bonnet cleaning. Due to the 1.5 horsepower motor, and the dual capacitor, it can be started up directly on a high friction surface. Carpeting provides more friction than a normal hard floor, especially on start up, and that is where the dual capacitor comes in handy. It stores additional energy in that capacitor so you don't pull too many amps through the circuit and blow a breaker. For other, less expensive alternatives, that can only scrub hard floors, take a look at our complete line of 15 inch floor scrubber buffers. Fully adjustable handles are comfortable for all operators. Polished aluminum chassis adds weight for better results. Balanced chassis design provides more precise pad pressure. Non-marring full wrap bumpers protect walls and baseboards. Motor plugs in at handle base for easy maintenance. Low profile drive aprons easily reaches under counter coves and beds.